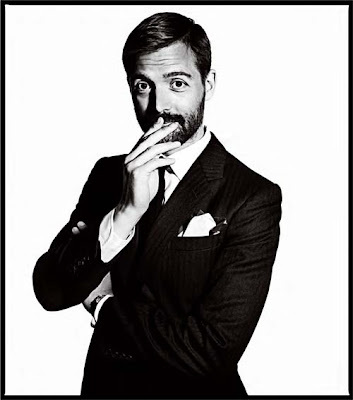 the adventures of tartanscot™: "Sunday Runway, Patrick Grant . . . "
Just for your wardrobe entertainment. This is kind of amazing. And inspiring. It´s wonderful and very smart. I haven't even watched the video yet, but, c'mon! I've crushed on this classically handsome man for some time. He's ridiculously dashing. Glad you posted, Scot! That was absolutely lovely to watch. It is good to know that dapper has not gone the way of the dodo. I do love a good suit on a man! I think its so interesting that his degree was in Materials science and engineering, and then he jumped to fashion design. I can see the crossover as he must have been fascinated by the intricate art of pattern cutting for suits. This was great to watch, the video is very nice. It's like every morning by me to go at work.